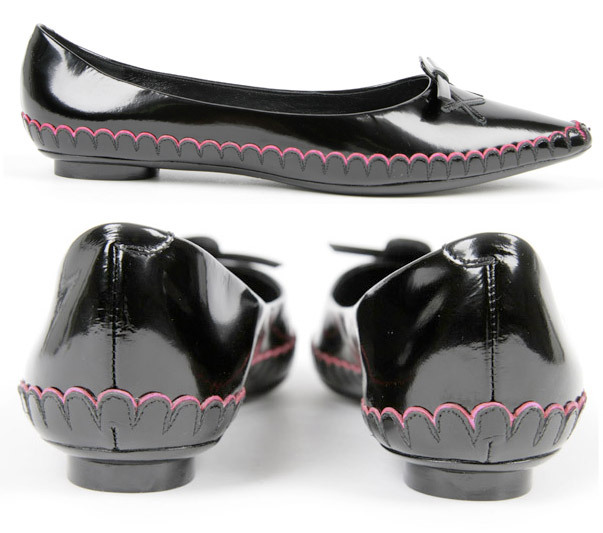 If you loved the Mouse flats by MJ, you’ll be pleased to find out that the legendary 10 years old Mouse flats by Marc Jacobs are celebrating! Kaws gave its Mouse measure and that turned them into a completely new and contemporary shoe. Wow, I sure do. And I am NOT a flats girl! Yes! I love them they are cute, and wearable! Not for me, no thanks. A bit grandma-ish to me…. But I don’t like flats anyway. But to keep it positive: I see your beloved D&G strapless dress on the right side as Editor’s Choice Kpriss. Its still a lovely desireable dress!